Self-myofascial release (SMR) is a very useful tool in the fight against chronic pain. In this article series, I’ll be detailing the different important areas of your body that you can use self-myofascial release on and how to approach them. 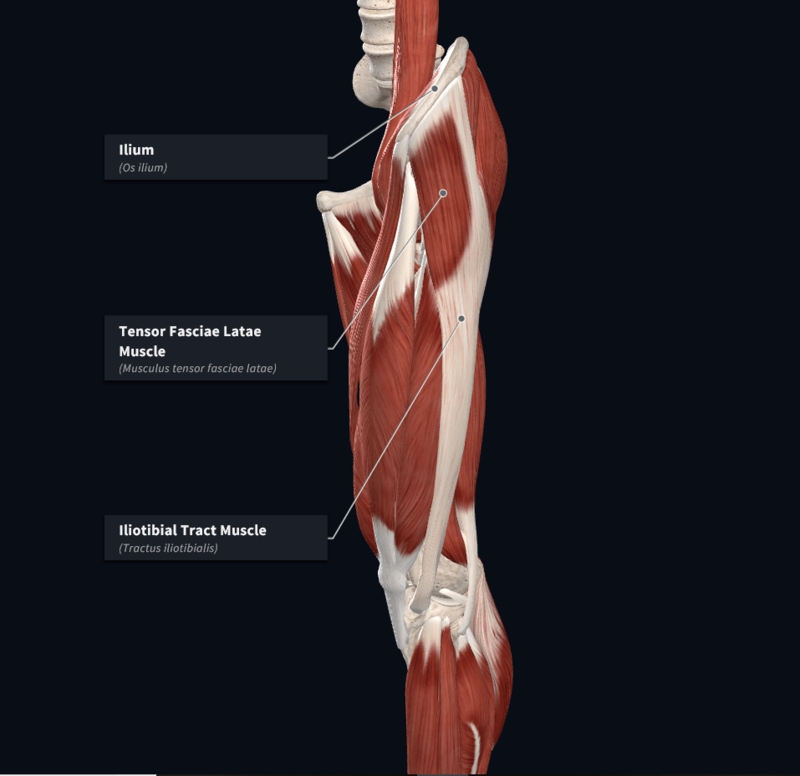 This article focuses on the Iliotibilal Tract (ITT), the Tensor Fascia Latae (TFL), and their attachments, which are in the knee and the iliac crest. This is an often-overlooked area of the body when it comes to stretching and SMR. It’s not an easy area to target but it can have a big impact in contributing to pain, stiffness, and dysfunction. As you can see in the illustration, the ITT and TFL are connected and work together to contribute to movement at the hip joint. Because they are so long and attach into the knee joint and on the pelvis, they can cause pain throughout the leg if they are tight. 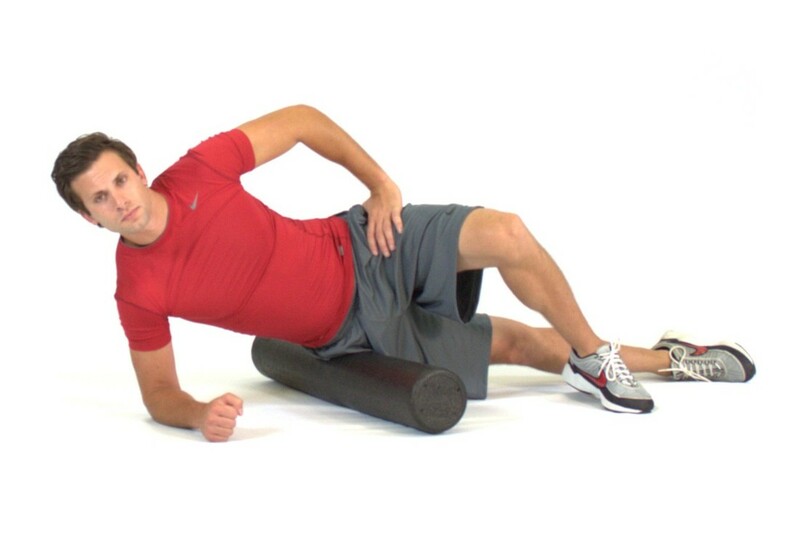 If you’ve ever been to physical therapy for a hip or knee issue, they may have instructed you to use a foam roller on this area to release some of the tension that could be contributing to the injury. It can help a lot, but you’ve got to do it carefully and thoughtfully. 1. First things first: this will probably be painful. And that’s okay. It will get better! 2. Start at the knee and go up. Finding the right posture for rolling out your TFL and ITT can be difficult. One thing to try is lying on the side of your leg that you’re rolling and putting your other foot on the floor in the direction you’re facing. It will feel a bit pretzel-y, but you’ll get the hang of it. 3. Don’t stop at your hip joint. As you roll higher up your leg, you’ll eventually find where your femur joins your pelvic. This is your hip joint. You don’t want to roll directly over it since that could cause issues, but you do want to go above it and keep rolling higher, up into your hip and towards the top of your pelvis, where you can see they insert into the ilium. Next Entry:Why you should ditch meal plans and what to do instead.